Reclaim Land | Tag archive for Really AR? Posted on: 06 October, 2010 | No Comments | Tagged as: ArchiFest, Event, Genericity, Really AR? This Saturday, spend your evening with us as we’ll be presenting Reclaim Land at Really AR? 5. We are honoured to be invited by re:act to share the platform at the rooftop of Illuma with speakers such as architect William Lim. This session of Really AR? 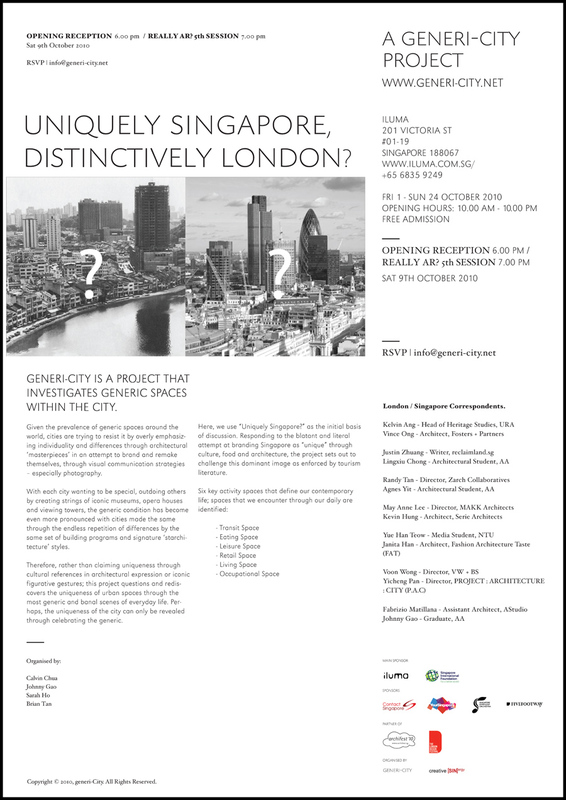 5 is organised together with the exhibition Uniquely Singapore – Distinctively London: a GENERICITY project as part of ArchiFest 2010. The opening reception of this exhibition is happening an hour before the talk, so if you’re keen to attend, please RSVP at info@generi-city.net.